Let’s be honest, sometimes hipster decor is so extreme that no one but the uber-fringe has any interest in it. However, other times hipster decor is chic, urban and absolutely wonderful. 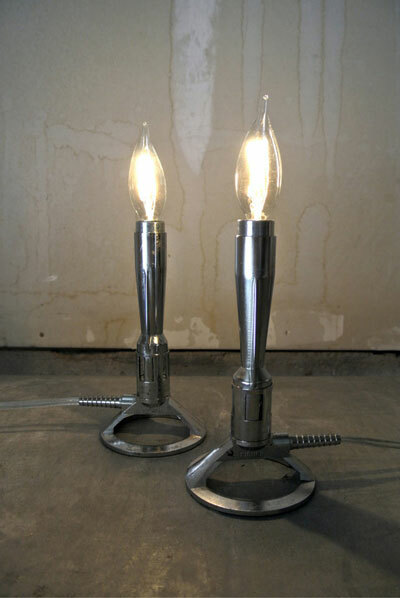 These industrial lamps are edgy enough to satisfy the most mustached of hipsters, but mainstream enough to satisfy everyone else. 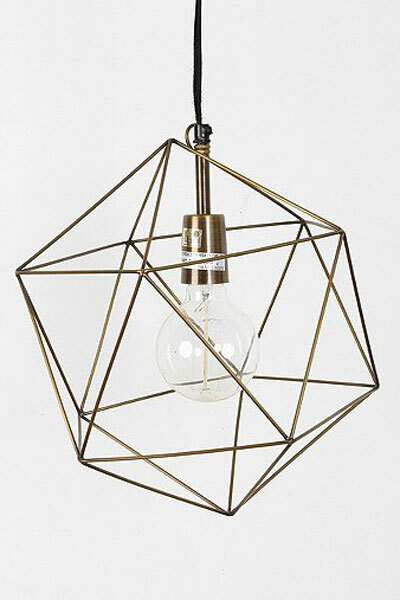 This metal geometric light fixture is the answer to most of your industrial lighting questions. Use it as an accent. Use it as a talking piece. Just use it (Urban Outfitters, $69). 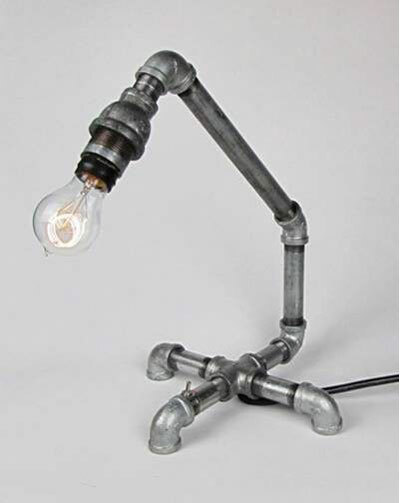 This handmade lamp with a wire shade gives off a distinct edgy artist vibe, a feeling we could all use more of in our lives (Etsy, $185). 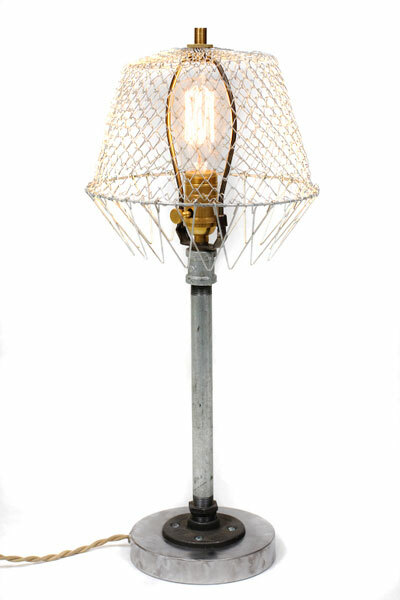 This vintage basket lamp combines retro with modern, and the result is stunning and chic (Junkyard Lighting, $95). 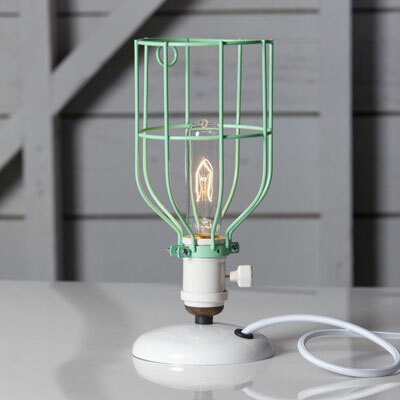 We love anything in mint, but we especially love industrial lighting in mint (Etsy, $89). 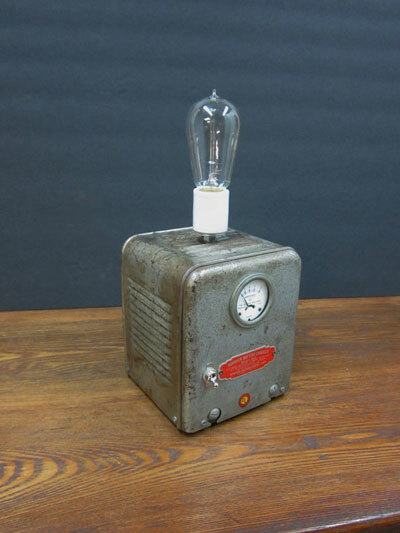 Take this repurposed battery-charger lamp and place it next to your record player (or iPod player) and bing, bang, boom, you’re set, hipster (or not) (Etsy, $138). This customizable beer-bottle lamp from Etsy lets you insert some of your own personality into your lighting (Etsy, $130). 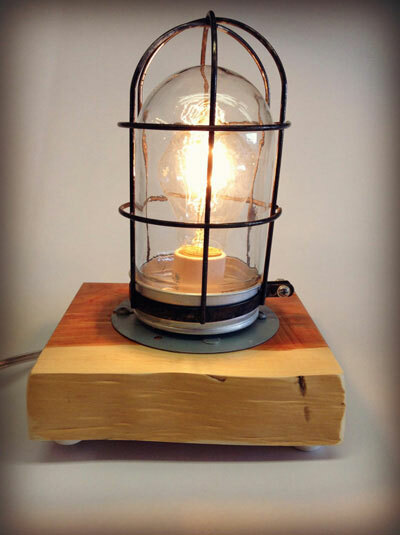 Advertised as the perfect minimalist light for a man cave, we say this is the perfect minimalist light for every cave. Or room. Or home. Or whatever (Etsy, $125). Wall lamps are in. Gold is in. 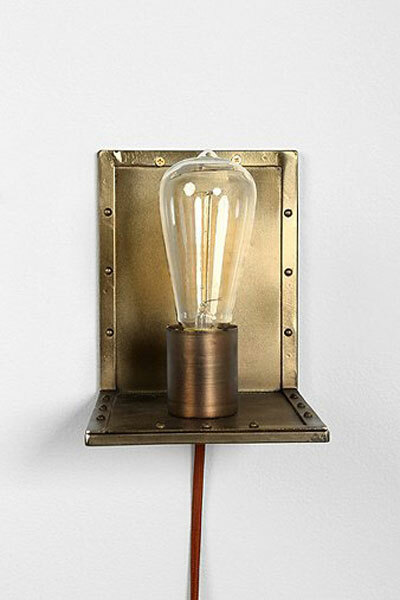 This gold wall lamp is in. You get it (Urban Outfitters, $59). 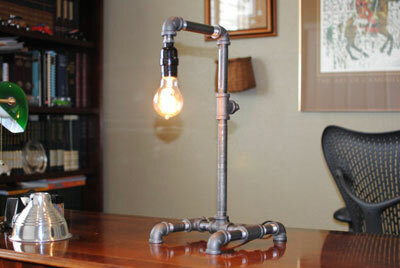 Recycled iron piping never looked as good as it does on this modern desk lamp (Etsy, $110). 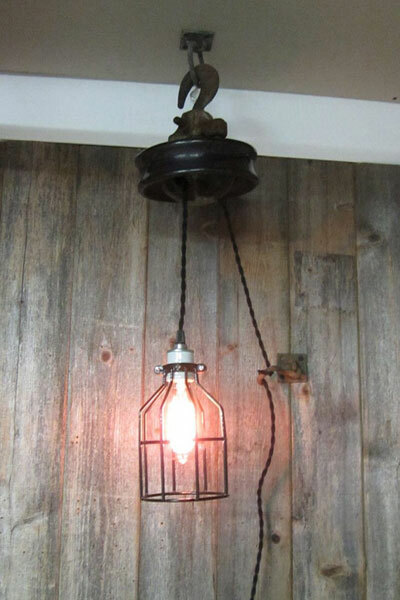 This iron metal-cage hanging lamp is the perfect way to brighten a lackluster room with both light and style (Etsy, $195). 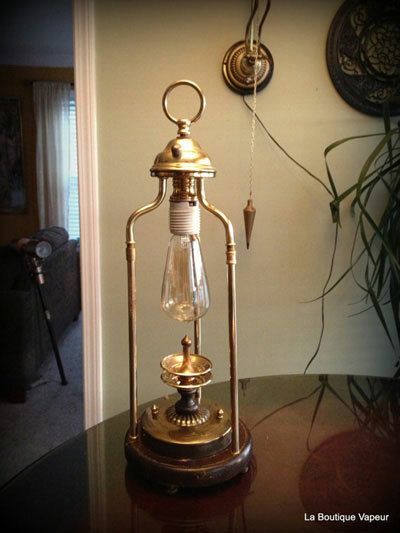 These Bunsen burner lamps were converted to look like they still burn a flame, and we think that’s just incredible (Etsy, $280). 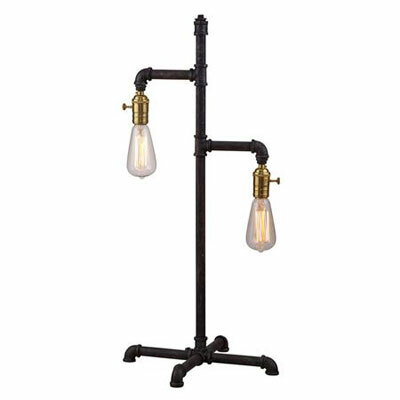 Brass and Edison light bulbs make this pipe table lamp industrial and modern and throwback all at once (Shades of Light, $175). 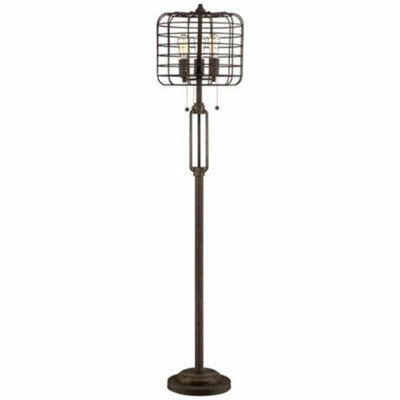 This rust metal floor lamp is a great eclectic piece for any room, any home, any time (LampsPlus.com, $300). 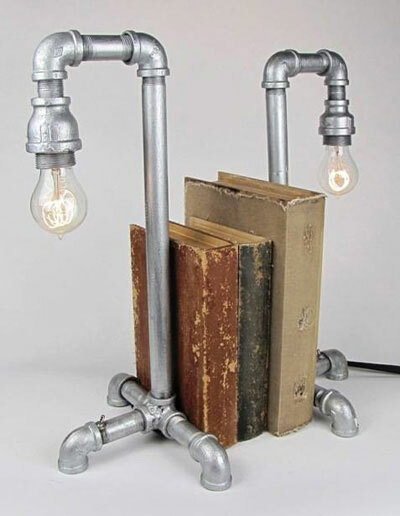 This industrial evolution table lamp makes us feel all writerly and cozy and want-a-cup-of-tea-y (Wayfair, $187). 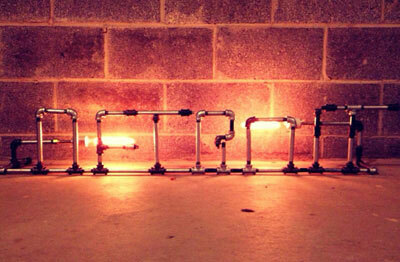 These bottle lamps prove that sometimes more is better. 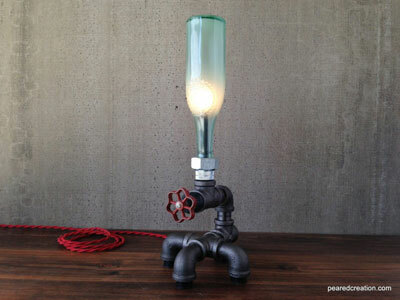 More bottles, more lights, more fun (Etsy, $290). 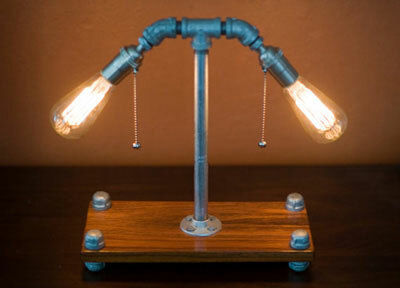 This galvanized steel and hardwood table lamp utilizes blue cloth, and we think it’s a great choice (Etsy, $215). This set of two table lamps serves as the perfect pop of personality for your perfect poppy bookshelf. Plus, who doesn’t like bookends (Wayfair, $276)? 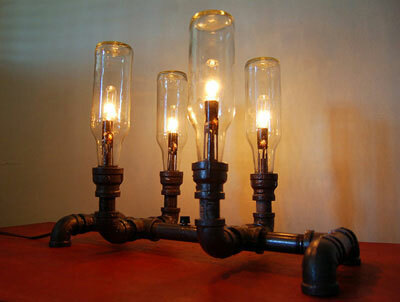 Steampunk + Victorian = Industrial lamp perfection (Etsy, $385). 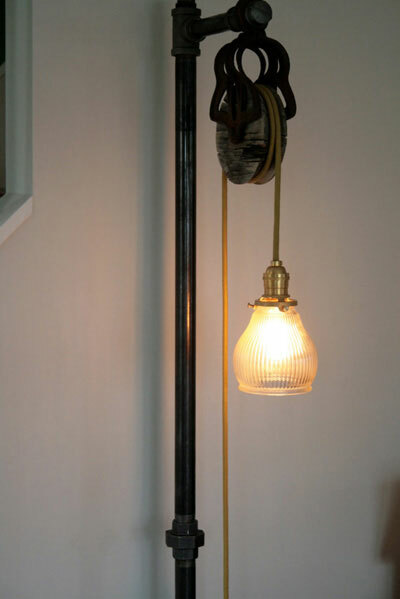 This industrial floor lamp hearkens to days of yore with its pulley and its gold-corded lamp wire. Yore seems pretty appealing (Etsy, $365). 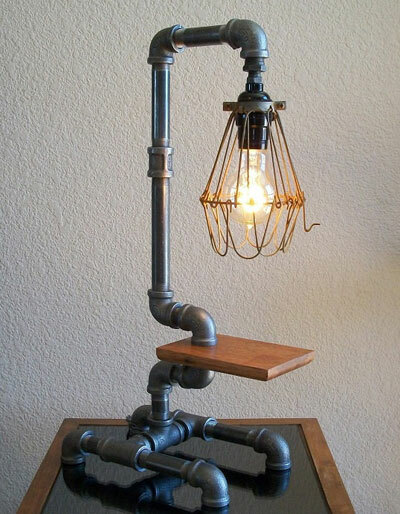 This custom steel pipe lamp would look great above a mantelpiece, hanging in a restaurant or generally anywhere where others can admire its uniqueness (Etsy, $350). 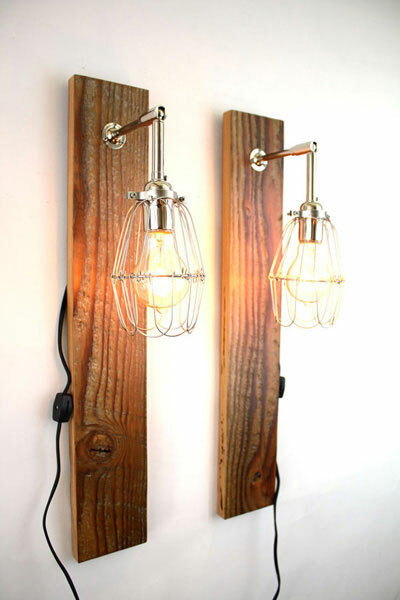 We love the juxtaposition of the rustic wood with the edgy metal in this lighting combo (Etsy, $190).